After tackling the buddy carry event, teams were tasked with a new set of challenges. This event called for all six competitors to take part. In 12 minutes, each member had to spend a minute repping out deadlifts (264/173 lb. ), one minute resting, a minute repping out pistols, one minute resting, one minute rowing for max calories. One athlete started on the first minute, with the next starting the event on the second minute, and so on. 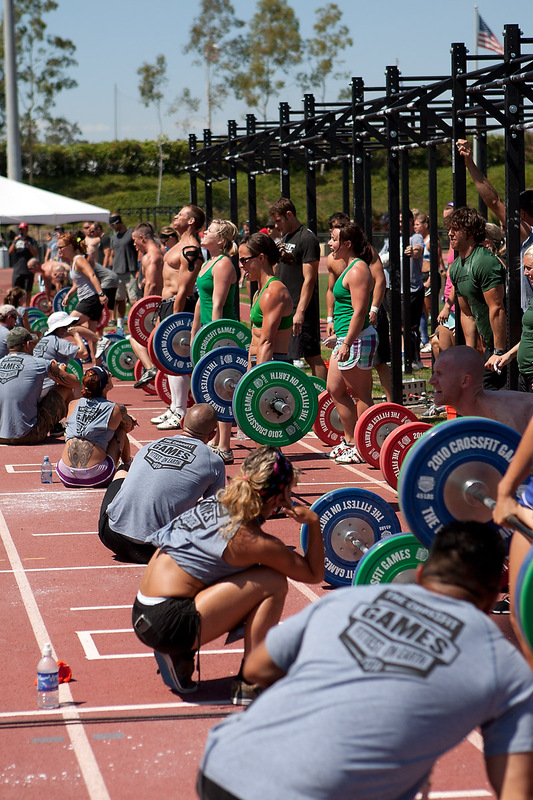 After the athletes completed Event 2A, they had the remaining time to establish a 1RM shoulders-to-overhead lift. Due to the staggered start for each athlete, the first athletes through Part 1 had more time on the overhead lift than those who started later. 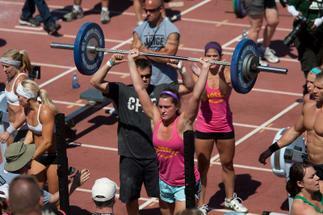 CrossFit Fort Vancouver ended up on top of Event 2A and CrossFit Oakland was on top of Event 2B. 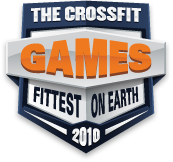 The overall lead went to CrossFit Fort Vancouver, with 2009 top finishers CrossFit Central in second and CrossFit Invictus in third. Any word on when the rest of the footage will be up on the site? Also Affiliate Event 3, Heat 3 and 4 seems to be missing from the archives on the 17th. 31 July 2010 / 6:37 p.m.